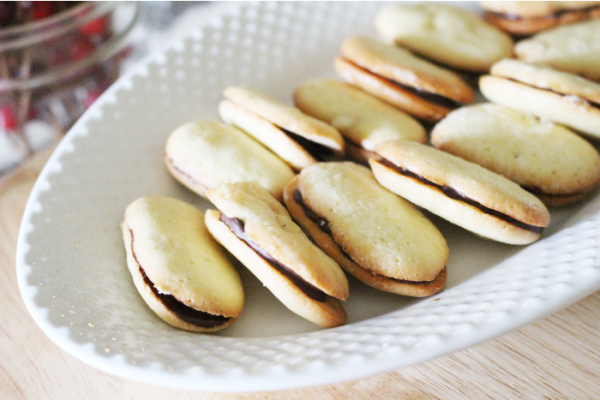 Mint Milano Cookies Recipe - Delicious with Einkorn or Any Wheat! This mint milano cookies recipe creates a light, crisp, and buttery cookie, filled with a thin layer of peppermint infused dark chocolate. Easy and fast to make, these homemade mint milanos will save you from ever buying another bag from the store! When we first started our einkorn journey we knew there were probably things we’d never get to enjoy again if we wanted to be committed to cutting out non-einkorn wheat. 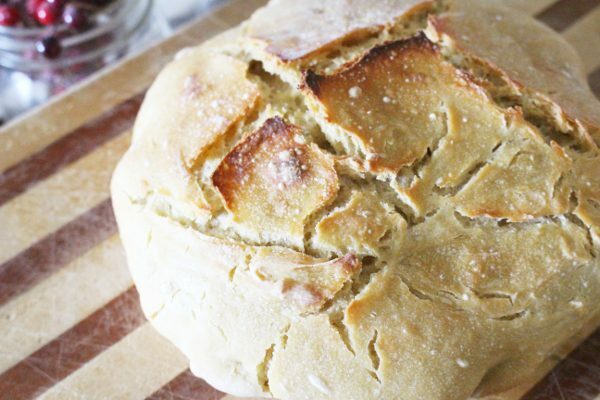 Not because a recipe would be impossible with einkorn, but because I just wouldn’t have to time to make all the things it’s so easy to grab from the store. For the most part this hasn’t been an issue, but every once in a while I get a craving for those crisp butter cookies known as mint milanos! Since the original store bought versions are filled with all sorts of things I have to avoid, I knew that this recipe needed to be simple in it’s ingredient list and really easy to make! I think I’ve achieved that with this fun little recipe! It takes about an hour to make from start to finish and makes 45 large sandwich cookies. They end up being a little larger than the actual store bought versions, but hey, I’m not going to complain! The einkorn flour gives the cookies a wonderfully rich depth of flavor not found in the store bought cookies, although if you didn’t know they were homemade you might just think you got a particularly delicious batch! I’ve made these cookies three times in the last 2 weeks because my friends and family keep eating my cookie stockpile! With all the rave reviews this recipe is a keeper to be sure. 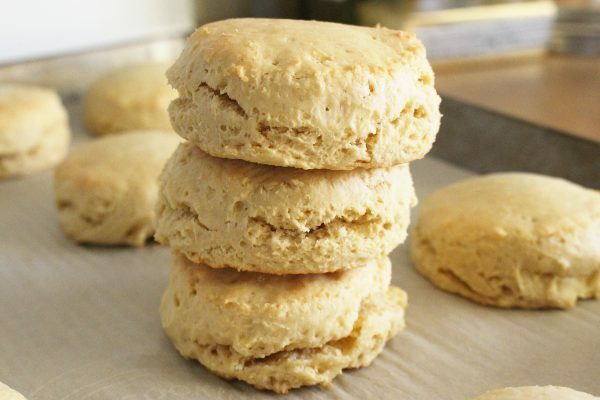 When you read over this recipe, you’ll notice you have to pipe the dough onto parchment… Don’t be discouraged by this step!! All you have to do it pour the batter into a gallon ziploc bag and cut off a corner so that there’s a 1/2 inch opening. This is seriously one of the fastest and easiest cookies recipes I’ve ever made (including a basic chocolate chip cookie recipe)! The easiest way I’ve found to achieve a consistent cookie shape and size is with a simple template. 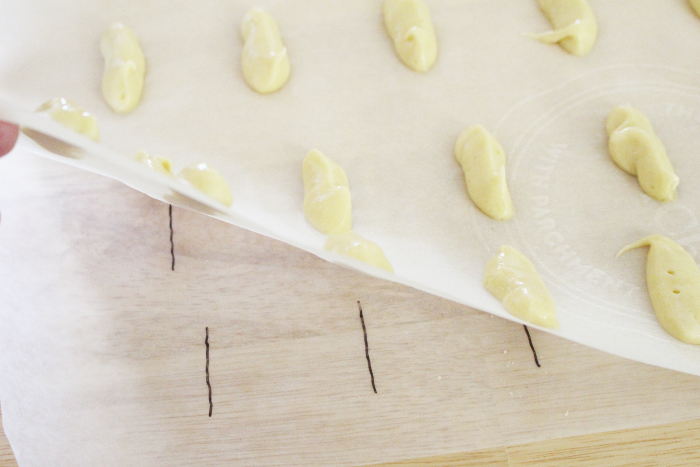 Using a piece of parchment cut to the size of your baking trays, draw lines 2 inches long and set them 2 inches apart. Place this under another sheet of parchment paper to use as a guide as you pipe the cookies. I roll my template up and keep it in a draw in my kitchen so I can whip up these cookies anytime! Don’t miss out on this magical cookie because piping seems too hard, it’s actually very easy!! Enjoy! 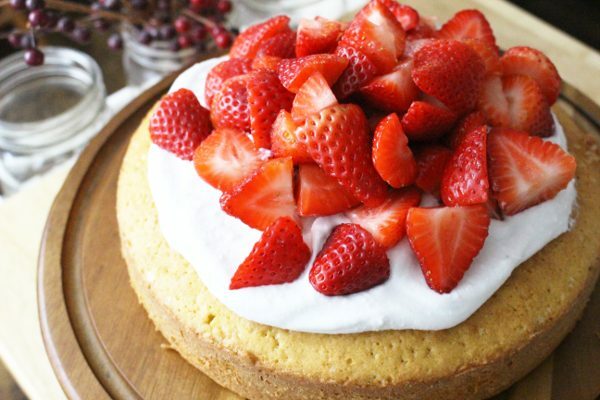 Can this be made with regular flour? Absolutely! As with all my non-bread einkorn recipes, you can substitute in any wheat based flour at a 1:1 ratio for the einkorn flour. 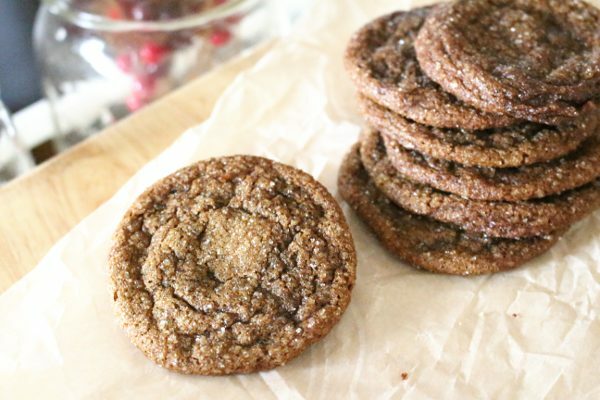 For this recipe I would steer away from whole wheat, because I think it would mess with the light texture of this cookie a bit too much. Can I leave out the peppermint? Yep! If you wanted to leave out the peppermint out and just make these as chocolate milano cookies, that would work too and be absolutely delicious! Or you could add orange oil for another tasty option! 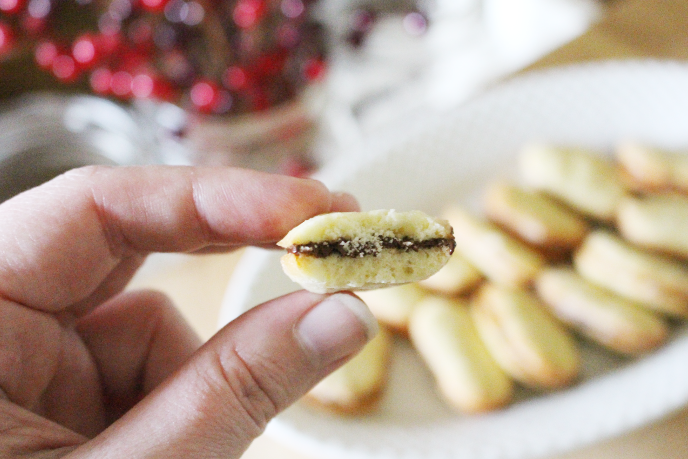 A crisp and buttery sandwich cookie, filled with a thin layer of peppermint dark chocolate. Prep a template on parchment or wax paper for the cookies. Draw lines 2 inches long and set them 2 inches apart. Place this under another sheet of parchment paper to use as a guide as you pipe the cookies. In a mixing bowl, combine butter, sugar, and vanilla extract. Beat until light and fluffy. Scrape down sides and bottom of bowl and mix again, butter must be completely combined and smooth or cookies will "blow out" when baked. Add egg whites and beat until fluffy again. Add flour and salt, mix gently until just combined. Place a gallon ziploc bag inside a large glass and fill it with the cookie batter. Press out the air and seal the bag. Cut off one corner of the bag so that the opening is 1/2 inch wide. 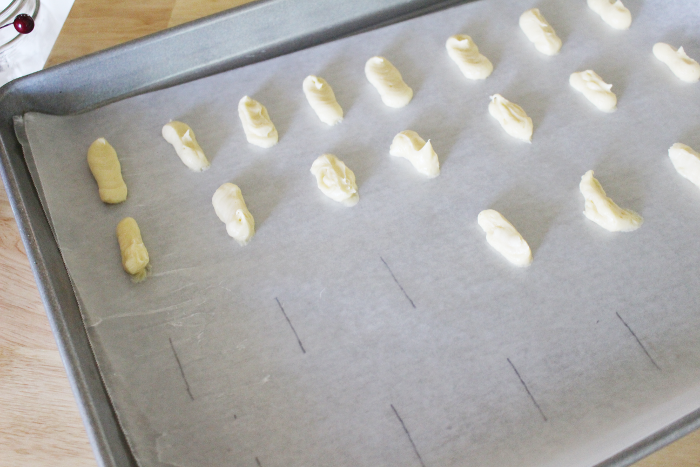 Pipe cookies onto clean piece of parchment paper, with the template underneath. Use a gentle pressure when piping so that lines are not too thick. They should be about 1/4 inch high off of the parchment. Taking opposite corners of the parchment, lift the cookies onto a baking sheet. Bake for 10-12 minutes, until edges of the cookies start to brown. Allow to cool completely on a cooling rack. In a double boiler, melt dark chocolate and coconut oil together until completely smooth. Add peppermint essential oil to melted chocolate and mix well. Using a quart ziploc bag, fill bag with chocolate. Snip off 1/16 of the corner for piping. Pipe down the middle of a cookie 3-4x (depending on how much chocolate you want! ), then place another cookie on top. Press the two halves together until chocolate is evenly spread. Repeat until all cookies are paired. If you want the cookies to be even crispier, you can put them in the dehydrator overnight at 135°. Allow them to cool completely in the morning with the dehydrator off. They will be completely crispy at this point and suitable for long term storage in a mylar bag with a silica pack.